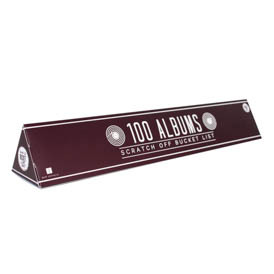 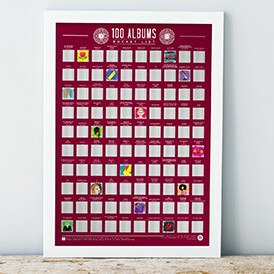 Listen to 100 of the best albums of all time and scratch them off as you go with this fantastic poster. 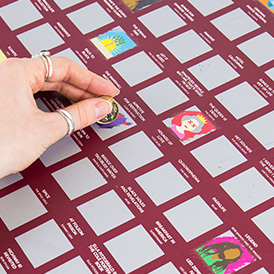 The perfect gift for any music lover, underneath each tab is a beautiful image related to the artist! 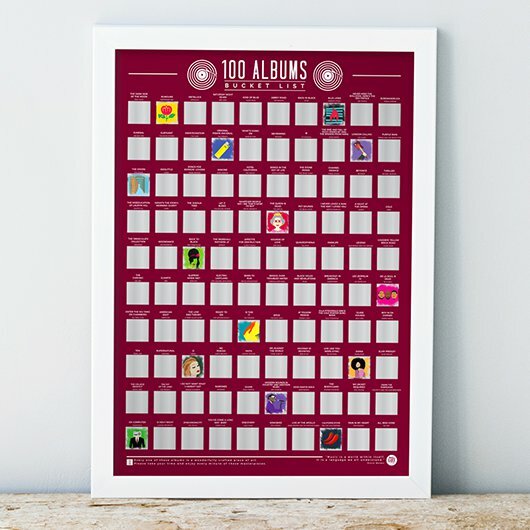 How many have you listened to?